Today in Masonic History Alonzo Jay Edgerton is born in 1827. Alonzo Jay Edgerton was an American politician and jurist. Edgerton was born on June 7th, 1827 in Rome, New York. He attended and graduated from Wesleyan University. There he was part of the Mystical Seven a society that was formed on the Wesleyan campus. After graduating from Wesleyan University in 1850, he moved around living in Mississippi and then Illinois. Eventually he settled in Mantorville, Minnesota where he read law and was admitted to the bar in 1855. In 1859, Edgerton was elected to the Minnesota State Senate. In 1862, after the beginning of the American Civil War, Edgerton formed a company of militia, which later constituted Company B of the Tenth Minnesota Infantry Volunteers. By 1864, he had risen to the rank of colonel with the 67th Regiment Infantry United States Colored Troops. The unit was formed of primarily African-American members, as well as other non-white personnel. The units made up one-tenth of the manpower of the United States Army at the time and were a predecessor of the Buffalo Solider regiments in the American West. Eventually he was brevetted to the rank of Brigadier General and in 1866 that rank was confirmed. After the war, Edgerton returned to private practice until 1871. 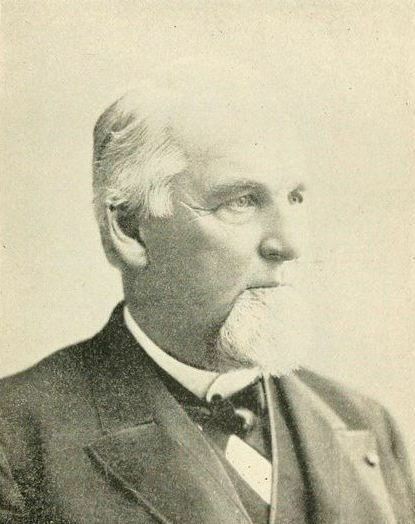 In 1872 he was appointed the as the first Minnesota state railroad commissioner. In 1876, he was reelected to the Minnesota State Senate. In 1881 he was appointed to fill the vacated seat of William Windom. Windom had been appointed as Secretary of the Treasury under President James Garfield. Before a special election could be held to fill Windom's Senate seat, Garfield was assassinated and Window lost his position. Windom ran in the special election and won back his Senate seat to finish out his own term. Edgerton would be appointed as chief justice of the Territorial Supreme Court of Dakota. When South Dakota was admitted to the Union he was made United States judge of the district. Edgerton passed away on August 9th, 1896. Edgerton was raised in Grenada Lodge No. 31, Grenada, Mississippi. He was a member of Mantorville Lodge No. 11, Mantorville, Minnesota. He served as Grand Senior Warden of the Grand Lodge of Minnesota. He was also the Grand Scribe of the Grand Chapter, Royal Arch Masons of Minnesota.